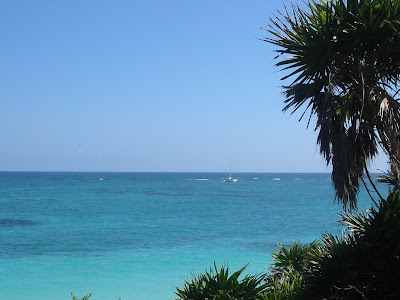 We're Going to the Islands! All of us at Treadle are having a little difficulty coping with this long, frigid winter. Our weapon of choice? DENIAL! Join us this Saturday, February 26, for a day dedicated to the power of imagination. We will be serving tropical punch and cookies, playing calypso and reggae music and dressing in our summer finery. All fabric and patterns will be discounted 20% and you may take an additional 20% off all sale fabrics. Join us dressed in your best tropical duds ( long underwear optional, but encouraged ) and we will enter your name in a drawing for a $50.00 gift certificate. There will also be a prize for the most outrageous getup (extra points for creative use of coconut shells). 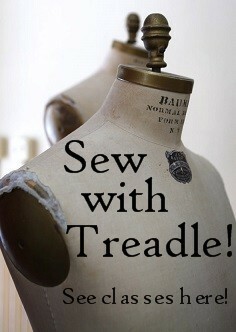 Judging will be purely subjective and photos will be posted (with your permission) on our Treadle Flickr page. We hope to see you for fabric fun and camaraderie as we thumb our noses at the weather. It's a Snow Day again! Stay warm today, drink some hot cocoa, sew something cozy for yourself. The Treadlettes will be at home doing the same. We'll be open for regular hours tomorrow! It's time for Book Review Corner again, here on the Treadle Blog. Today's installment centers around the new book from Elizabeth Hartman, of Oh Frannson!, The Practical Guide to Patchwork. Ms. Hartman is a very prolific quilter and designer, and this book has lots to offer quilters of all stages. The instructions begin with the basics, how to sandwich a quilt, what kind of stitching to use while quilting, basic color theory, etc. Personally, I am quite a novice quilter. I have made them, but my interest lies primarily in fashion sewing. I was introduced to all sorts of interesting things through this book. These binding clips, which look like hair clips (but will snag your curly locks so beware) are an innovation that was new to me. Also, adding this tiny flap before binding makes a quilt easy to hang on a wall. Genius. Now to the designs - These quilts are clean, modern and range in difficulty from Beginner, through Confident Beginner to Intermediate. The best part of the designs is this: for every design, she shows her blocks in two more permutations, so you could take the quilt in your own direction either with color, or shape of pieces. It's so exciting when a designer will hand the reins over, and encourage you to use your own design sensibilities. While we're discussion quilting, I wanted to call your attention to our Beginning Quilting class coming up in March. Come join Melissa as she guides you through the basics of quilt-making from choosing fabrics to assembly and and binding.